Are you looking for a great field trip opportunity or possibly a visit from a naturalist into your classroom? Have you thought about the Delaware National Estuarine Research Reserve? The Reserve provides wonderful field trip and classroom outreach opportunities for you and your students! The Reserve offers school programs for students in grades K-16 including a featured field trip for the 4th grade in conjunction with the John Dickinson Plantation. The programs are grade appropriate and are designed with the state science standards in mind. Programs are engaging, science based, and include a hands-on component. 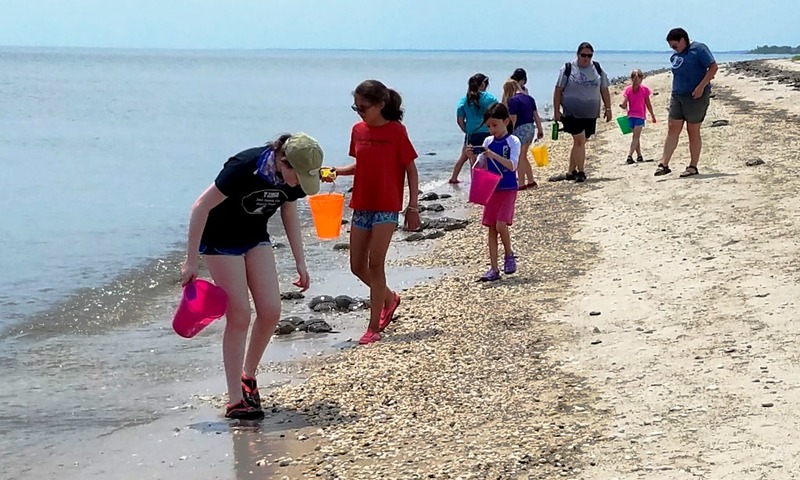 The Reserve offers a wide variety of activities on topics such as watersheds, ecosystems, land and water, wetlands, organisms (fish, horseshoe crabs, shorebirds, mammals, etc. ), and water quality and pollution. There are two locations for field trips: the St. Jones Reserve in Dover and the Blackbird Creek Reserve in Townsend. Come out and enjoy a day at the Reserve or have us bring the “field trip” to you! School programs are available September-June and are scheduled from 9 a.m. – 3 p.m. Field trips are available on Tuesdays and Wednesdays.